Nationally acclaimed Screen Actors Guild actor, and female celebrity impersonator, Joe Posa, draws from nearly 30 years of performances on the International Stage, TV, Motion Pictures, Cabaret, and Nightclub performances in bringing his talents to the stage in his latest production of “Back & BITTER Than Ever”, a tribute the late great comic legend Joan Rivers. Having performed alongside Ms. Rivers on two separate occasions, Mr. Posa, who was called by Joan, her “favorite Joan Rivers Impersonator”, has taken Ms. Rivers act on the road, often times, sharing the stage with Mr. Tony Tripoli, Ms. Rivers former head comedy writer, co-executive producer of E Networks Fashion Police, and Joan’s opening act. Mr. Posa, who has performed as Liza Minnelli, Barbra Streisand, Michael Jackson, and others, was also Susan Lucci’s, Erica Kane character double on an Episode of “All My Children”, as well as Tina Fey’s, Liz Lemon’s character double on 30 Rock. As a cast member of an “Evening at LaCage”, Mr. Posa performed in Venues in NYC, Aruba and St. Martin, learning how to perfect his make-up and costuming for characters such as Liza, Barbra and Gloria Estefan. Mr. Posa’s training as a professional dancer has allowed him to interpret the movements and subtleties of each of his character recreations. 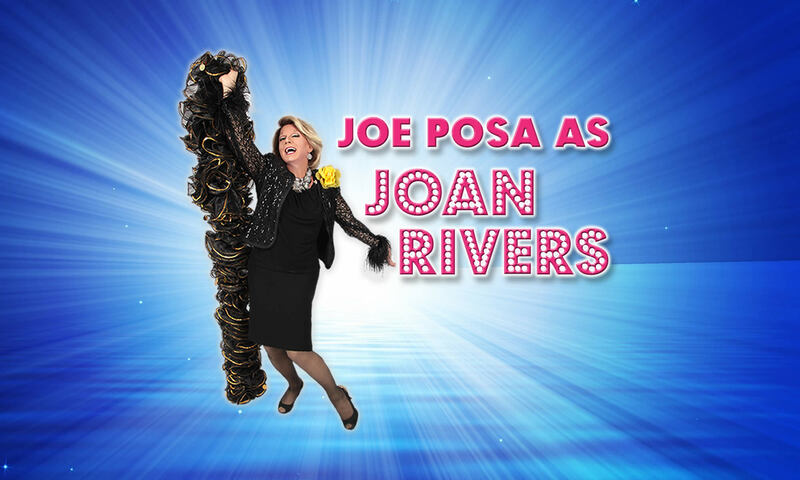 Since Ms. Rivers passing in 2014, Mr. Posa has been committed to keeping Joan’s memory alive, by recreating the comic genius’s act in venues throughout the United States and Mexico.